You have photos hanging up in your room. Everyone does. But you also have a ton of videos of all the fun times you’ve had. The bad news? They just get buried in your phone. But now we’ve found an app that lets you put those videos up on your wall so that you can create your own video memory wall. Its snapchat combined with post it notes. 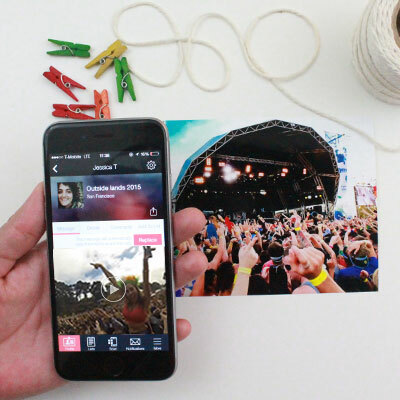 The new app is called TINE and it lets you store video in a little sticker called a TINE tag. Whenever you have an awesome night, grab a tag, stick it on the wall, scan it and upload a video to create your own memory wall. Click here to download for iPhone or Android. 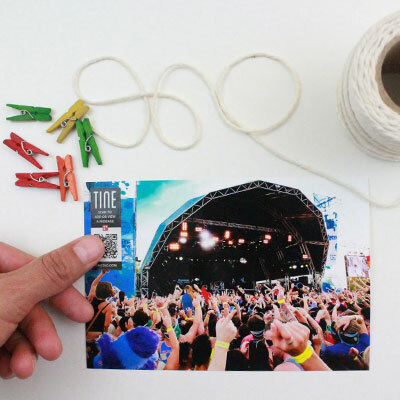 Stick a TINE tag on your photo or wall. 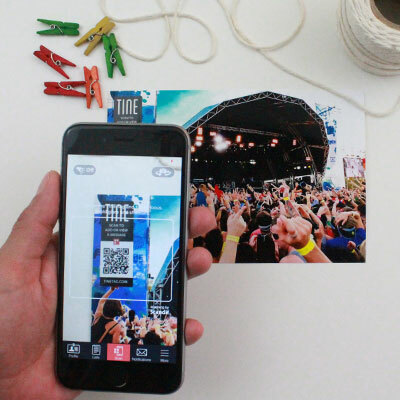 Install the TINE app from the app store, and scan the tag with your phone. Upload videos to your tags. That awesome video from the concert can be on your wall in seconds. Now when anyone scans a TINE tag with the app, the video will play on their phone. The best part is, the app and the tags are both free.